View of the Delaware River from Bucks County, Pa. 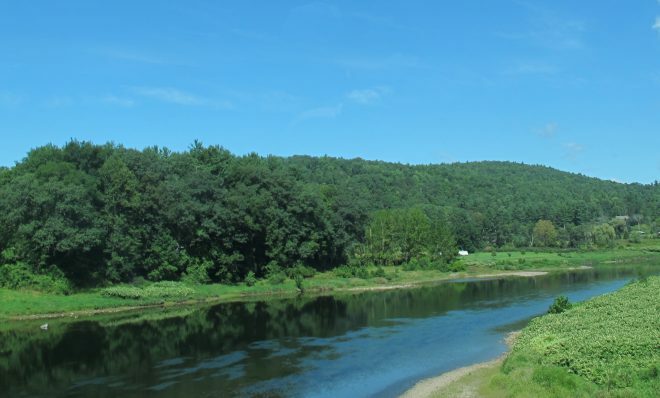 In 1961, President Kennedy signed a compact with the Governors of New York, New Jersey, Pennsylvania and Delaware, which created a partnership between those states and the federal government to manage water in the Delaware river basin. 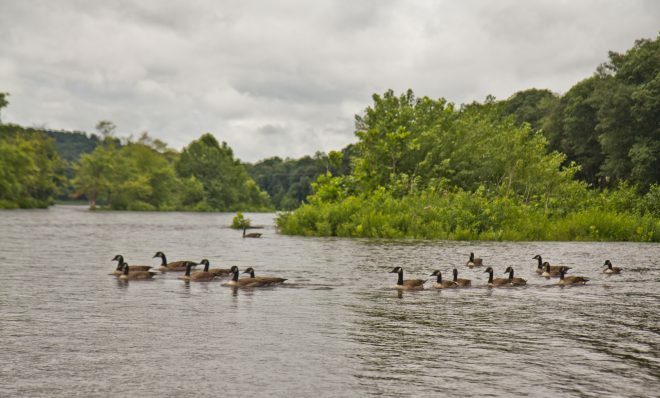 The Delaware River Basin Commission consists of governors from the four states, and the federal government is represented by the Army Corps of Engineers. The DRBC manages water quality, withdrawals, droughts, floods, conservation and permitting for the river and its tributaries. It’s funded by the states, the federal government, permit fees, fines, as well as public and private grants. The Delaware River is the longest free-flowing river east of the Mississippi with its headwaters located in Hancock, N.Y. It stretches 330 miles and empties into the Delaware Bay. The river provides drinking water to about 15 million people in New York, New Jersey, Pennsylvania and Delaware. In 1968 the Delaware River was declared a “Wild and Scenic River” by President Lyndon Johnson, which affords it special protection. 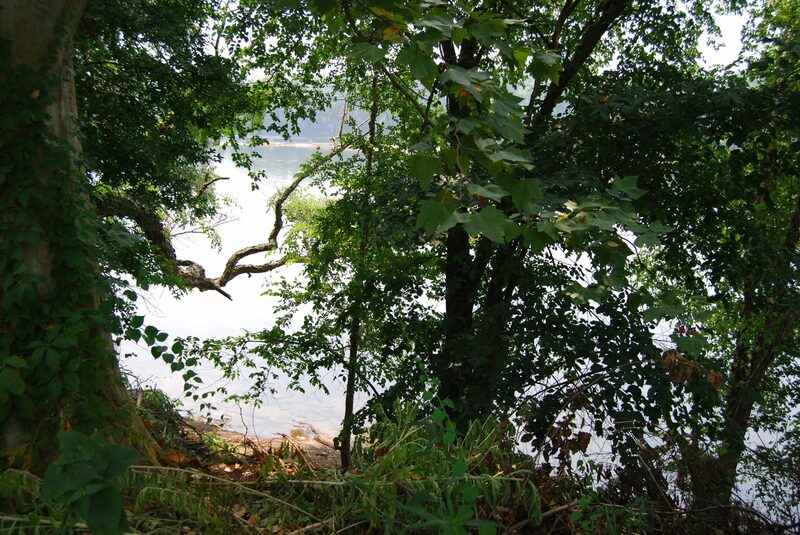 Parts of the river have also received the designation of “special protection waters.” Two primary regulatory functions of the DRBC are water quality and quantity. The DRBC has about 30 staff members, including several hydrogeologists and water resource engineers. Before the DRBC stepped into the natural gas debate, it was an agency that conducted most of its business free of public scrutiny. But the development of the Marcellus Shale has changed that. About one-third of the Delaware River Basin, in New York and Pennsylvania, lies above Marcellus Shale natural gas deposits. 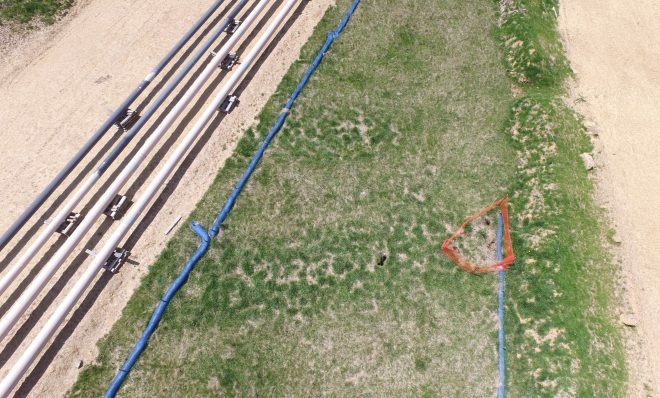 In May of 2009, DRBC executive director Carol Collier issued an “Executive Director Determination” that all natural gas production activity in the basin needed to be reviewed by the Commission. 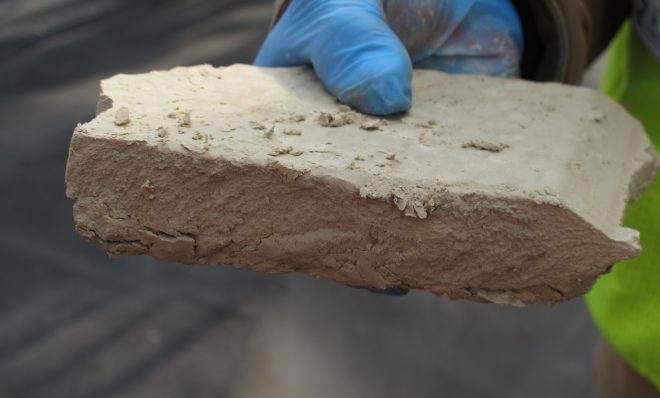 Collier was concerned about the water withdrawals needed for drilling as well as the impact on water quality from the drilling practice known as “hydraulic fracturing,” or fracking. In May 2010 the five Commissioners voted unanimously to hold off on any decisions regarding drilling in the Basin until new regulations were adopted. 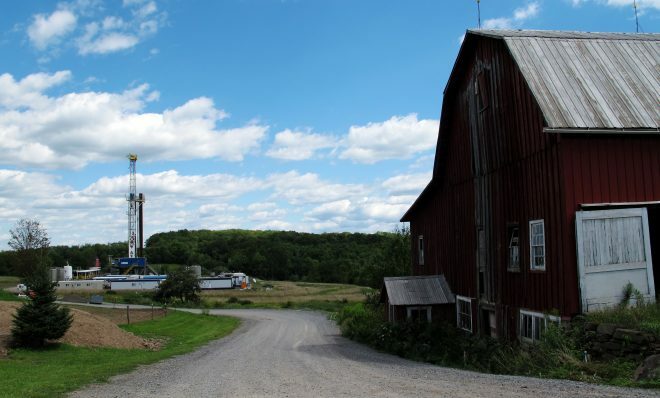 The de-facto moratorium imposed by the Commission prevents drilling for natural gas in Pennsylvania’s Wayne and Pike counties, as well as parts of southern New York, until the DRBC establishes its own regulations for gas drilling. If their rules are more stringent than state regulations, the DRBC rules would trump Pennsylvania. The gas industry has cried foul, saying the DRBC is overstepping its authority. Environmentalists applauded the move at first. But have since criticized the Commission for not doing a more thorough environmental impact study, or proposing tighter regulations. In December of 2010, the DRBC released its proposals. Since then they have held public hearings and have gotten an unprecedented response from both sides of the issue. In May, 2011 New York Attorney General Eric Schneiderman filed a lawsuit against the federal government, charging the U.S. Army Corps of Engineers in its role as a member of the Commission violated the National Environmental Policy Act. The lawsuit says NEPA requires the DRBC to do a more thorough environmental review before implementing any new regulations. In August, 2011 environmental groups filed a similar lawsuit. After reviewing more than 60,000 public comments, the DRBC posted its revised draft regulations online in early November, 2011. 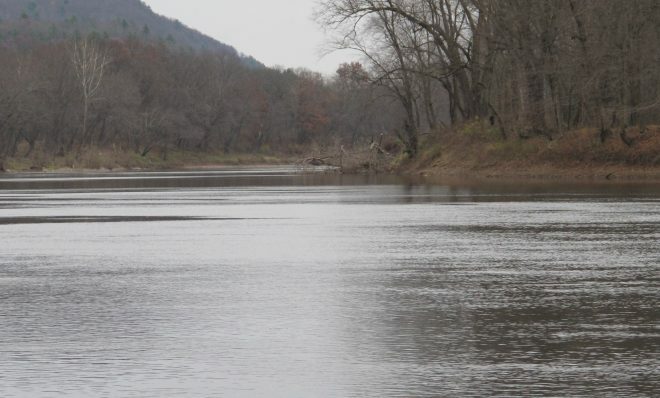 Environmentalist groups, such as the Delaware Riverkeeper Network, criticized the draft rules and continued to lobby for a more extensive environmental impact study. Environmentalists say the new rules do not go far enough to protect drinking water supplies. They planned a large demonstration and civil disobedience at a scheduled November 21, 2011 meeting where the DRBC planned to vote on the new rules. 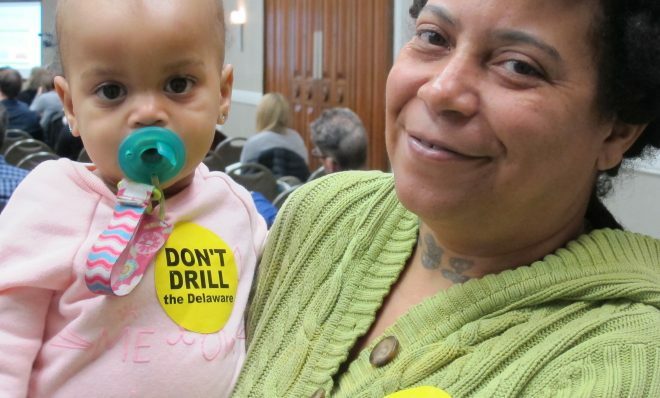 But just days before that meeting, Delaware Governor Jack Markell announced his intent to reject the proposed rules. Like the environmentalists, Markell wants the DRBC to conduct an environmental impact study before drafting new regulations. With Pennsylvania and New Jersey likely to approve the new regulations, that put the federal government in the position of casting a deciding vote. But before hundreds of protestors descended upon Trenton, NJ, the divided Commission canceled the meeting. 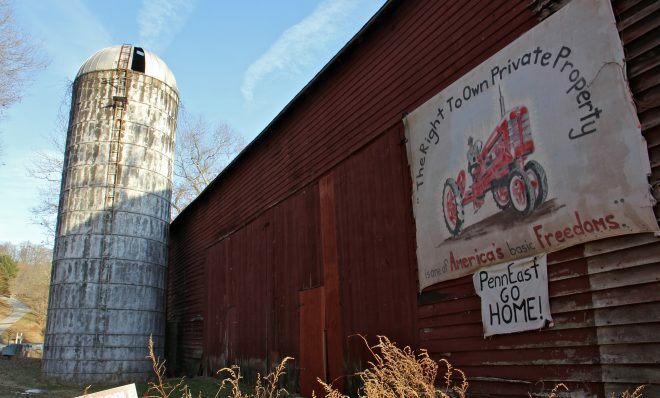 New York decided to ban fracking completely within its borders at the end of 2014, citing health concerns. 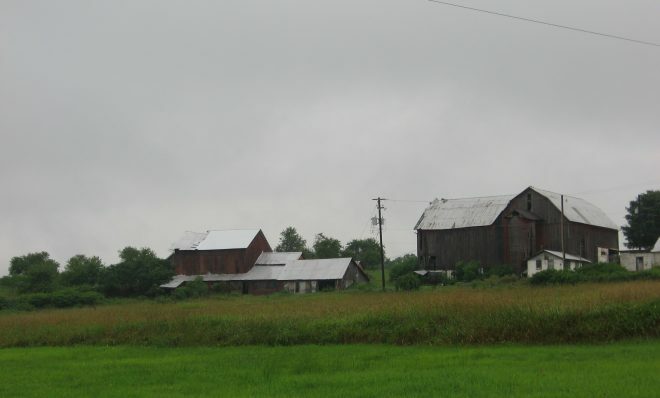 A group of landowners in Wayne County, Pennsylvania sued the DRBC in federal court in May 2016, arguing the agency does not have the authority to regulate gas drilling. On November 30, 2017 the DRBC released proposed rules that would ban fracking in all shale formations in the Delaware River Basin, established a public comment period and scheduled public hearings. New prohibitions would be a big victory for environmentalists and residents who have been campaigning for them for years. Companies are allowed to protect trade secrets, and the health risks of unidentified chemicals are unknown. Advocates push for disclosure, saying the public needs to know about the chemicals in order to help protect drinking water. The Delaware River Basin Commission said many Sunoco incidents are outside its jurisdiction, and have already been penalized by Pennsylvania authorities. But, the commission said, it’s tracking possible violations of its permit conditions. Delaware Riverkeeper Network says “severe and ongoing” permit violations are causing “significant harm” to the river basin. 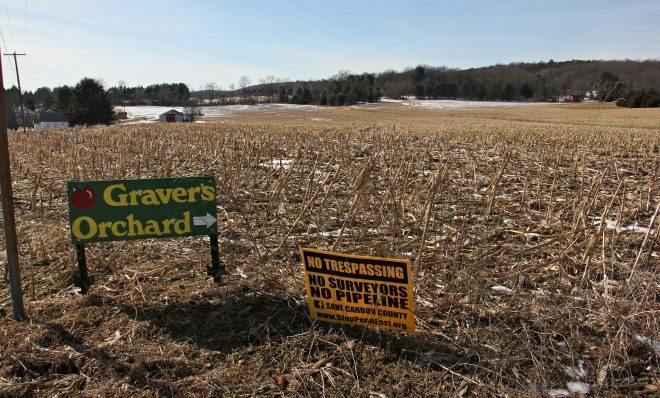 It wants the commission to suspend Mariner East 2 construction.